The value of small-scale qualitative research projects into young people’s reading is often underestimated. Yet these finely tuned studies, with a precise focus and highly specialised approach, can provide us with profound insights into the richness and variety of young people’s reading practices. 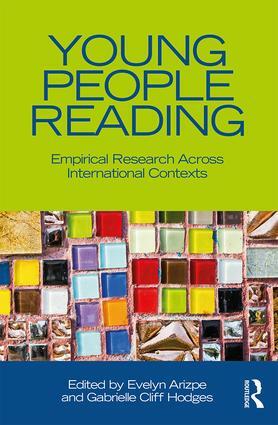 Bringing together contributors from six continents, this fascinating volume explores researchers’ experiences of investigating the reading habits, preferences and practices of young people aged 12–21. Detailing a variety of empirical methodologies and research methods, its chapters also consider reading in an array of contexts, in various languages and using diverse media. how our understanding of the range of texts available to young readers and the different contexts of and purposes for reading can be enhanced through small-scale qualitative research. Providing in-depth discussion of contributors’ research and findings, and touching on many different contexts, text types and media, this volume will support and inspire current and future researchers, lecturers and teachers interested in young people’s reading. Evelyn Arizpe is Senior Lecturer at the School of Education, University of Glasgow, UK. Gabrielle Cliff Hodges is former Senior Lecturer in Education at the University of Cambridge, UK.